Tottenham Hotspur manager Mauricio Pochettino is not ready to change his club style of playing the ball out from the back. 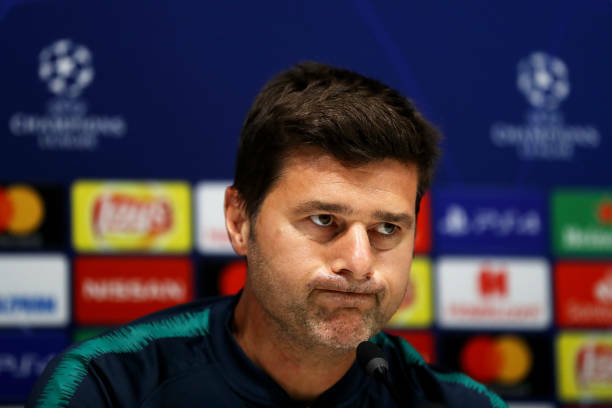 Tottenham Hotpurs have suffered defeat in their last three games, the first time it has happened under Pochettino and at times have played themselves into trouble in their own third of the pitch. In Spur recent defeat at Inter Milan on Tuesday, they lost possession on several occasions in dangerous positions as they attempted to play short passes from goal- kicks and could not cope with the high Italian press. Despite the loss, Pochettino still stand by his tactics and says that is the only Tottenham hotspur can play ahead of Saturday visit to Brighton. If we put the ball in the air, and we are going to fight for the ball we are going to lose, The example is clear. Every time that the team played well, kept possession and play in the way that we want to play, we were close to winning. We are not a team that can play fighting like Atletico Madrid, who are so comfortable playing deeper, going on counterattack and when it is 1-0, in the last five minutes they’re impossible to penetrate. We are a team who are comfortable in possession, in the opposition half. That’s the team we have, the players we have, and how the squad is. It is impossible to change. To change that is to change your identify and it will be so tough to win games in a different way. The teams plays how we feel.